Directed by Anurag Kashyap and featuring Nawazuddin Siddiqui in leading roles Raman Raghav 2.0 (रमन राघव) could be this week’s show stopper. Raman Raghav 2.0 is a movie directed with an intention of targeting specific audience. A large part of audience who loves to watch fiction. There is a lot of criminal drama in the whole episode which obviously will be loved by the fans. The epidemic episodes of Raman Raghav 2.0, includes a variety of series in the movie. A law breaker had given a never ending challenge to lawman. The story is about encounter of a cop who lives his life on drugs and a maniac person. Raman Raghav 2.0 gets a positive point as after a long break we are going to see atrocities of the city. From the past 3 years, directors weren’t showing extreme interest in making films directly from the hometown of bollywood. Congenital appearance of the main casts in the trail must had given a notion of Movie’s story. The fuzziness in the story will make sure that propulsion happens with the same pace throughout the screenplay time. Raman Raghav 2.0 story is more or less based on different lifestyles and righteous approach between the two pessimistic things. On the one side, there is a serial killer and on the other side insanely lascivious, unprincipled and unmoral policeman who has forgot all the ethics in his life. No doubt the movie delivers a contrast comparison between the two amazingly different things. Clear contrast has been shown between a death dealer who can murder anyone and the lawman who isn’t in his own senses. As expected there are no actual frontiers in the film, it always appears to be part of accumulated stories assembled into one. The story is focussed on ethics and principles. Raman and Raghav who shares different lives had been encountered into a place where they had seen life changing deeds. Overall in the entire film, Raman and Raghav are two different characters but assembled as one. Direction level is truly culminating. Although the film might be a boring deal for the lovers of Romantic movies but it would be loved by the audience preferring Fiction based films. Production values are rich, which was one of the most important thing. Although the only negative about this film is somewhat the story revolves around same script. Like, Badlapur, almost 30 mins of the story’s part was crucial and could be avoided rather showing same thing again and again. No matter what, Raman Raghav 2.0 stands best movie going to released today after Udta Punjab. This month’s complete dedication has been advanced to Anurag’s movie. Along with this, Diljit is also releasing his most awaited Sardaar Ji 2. On one word we can say that movie is a must watch this weekend. One can easily avoid going in couples or with family. 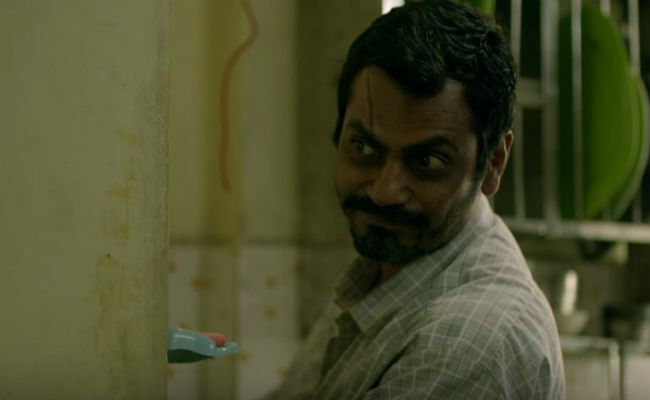 Raman Raghav 2.0 Review and Rating had collected another set of positive points for Nawazuddin Siddiqui’s acting. This dull week, Raman Raghav 2.0 stands best choice.